Seven major European financial institutions today announced that they have signed a Memorandum of Understanding to explore together the development of a post-trade Blockchain infrastructure for SMEs in Europe. The consortium includes BNP Paribas Securities Services, Caisse des Dépôts, Euroclear, Euronext (Paris:ENX) (Amsterdam:ENX) (Brussels:ENX), S2iEM and Société Générale, in collaboration with Paris EUROPLACE. Open to other international partners, this pilot agreement aims to improve SMEs’ access to capital markets while facilitating secure and transparent post-trade operations. 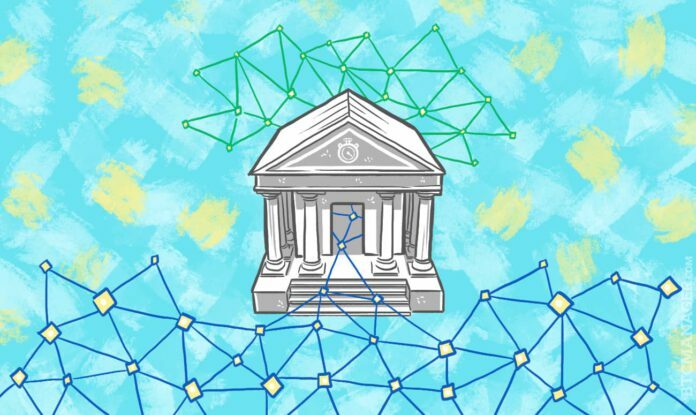 It is part of the development of a new regulatory environment in France that allows the issue and circulation of securities using Blockchain technology. The partnership’s main objective is to combine its members’ financing capacity and expertise to promote innovation through a new, independent company whose mission will be to harness Blockchain technology in the design, development and deployment of innovative solutions for post-trade. By reducing transaction costs while maintaining a high level of security, the company would help SMEs raise funds more easily on capital markets. Blockchain technology has the potential to significantly enhance and streamline post-trade operations by facilitating securities registration for the European market and allowing fast execution of trades with clearing & settlement in real time at T+0.